A ShelterBox Response Team is on the way to Malawi after Cyclone Idai caused widespread flooding in Malawi, Zimbabwe, and Mozambique. The Response Team will be assessing damage to homes to understand what support families will need for recovery. The organization anticipates that support may include emergency ShelterKits for families who have lost their homes, water filters to help protect them from increased risk of water-borne diseases, solar lights, and mosquito nets. People awaiting rescue on rooftops in Beira City, Mozambique. Shared by Mr. Hutchson Mthinda, Rotary 9210 District Governor. 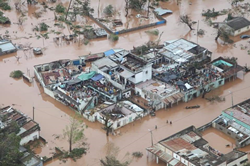 A ShelterBox Response Team is on the way to Malawi after Cyclone Idai caused widespread flooding in Malawi, Zimbabwe, and Mozambique. According to the U.N., this devastating cyclone may be the worst disaster to ever hit the Southern Hemisphere. Estimates are that almost one million people have been affected and at least 125,000 have been forced from their homes in Malawi alone. Other weather systems building in the region could cause further damage. The Response Team will be assessing damage to homes to understand what support families will need for recovery. The organization anticipates that support may include emergency ShelterKits for families who have lost their homes, water filters to help protect them from increased risk of water-borne diseases, solar lights, and mosquito nets. ShelterBox is working with local partners, including Rotary International and Habitat for Humanity. The cyclone, which made landfall on March 14 with winds over 100 mph, further exacerbated downpours that caused widespread flooding earlier in March. Because these events happened after a severe drought, the conditions are worse. ShelterBox previously responded to floods in southern Malawi in 2015, where the organization worked closely with local Rotary clubs to provide emergency shelter to thousands of people displaced by the flooding. Additionally, ShelterBox is responding to shelter needs of refugees and displaced people in Syria, Ethiopia, Chad, Cameroon, Niger, Nigeria, and the Republic of Congo. The organization also recently responded to Tropical Storm Usman in the Philippines. To volunteer, fundraise, or make a donation, visit http://www.shelterboxusa.org or call (941) 907-6036. Legacy giving and corporate giving options are available as well. ShelterBox USA is a 4-Star rated charity by Charity Navigator and has Platinum status from GuideStar. Since 2000, ShelterBox has provided shelter, warmth, and dignity following more than 300 disasters in over 100 countries. ShelterBox responds urgently to earthquake, volcano, flood, hurricane, cyclone, tsunami, or conflict by delivering boxes of essential shelter, aid and other lifesaving supplies. Each iconic green ShelterBox contains a disaster relief tent for an extended family, blankets, a water filtration system, emergency lighting, and other tools for survival. ShelterBox USA is based in Sarasota, Florida and Santa Barbara, California. ShelterBox is an official Project Partner of Rotary International. Tax deductible donations to the organization can be made at http://www.ShelterBoxUSA.org or by calling (941) 907-6036. 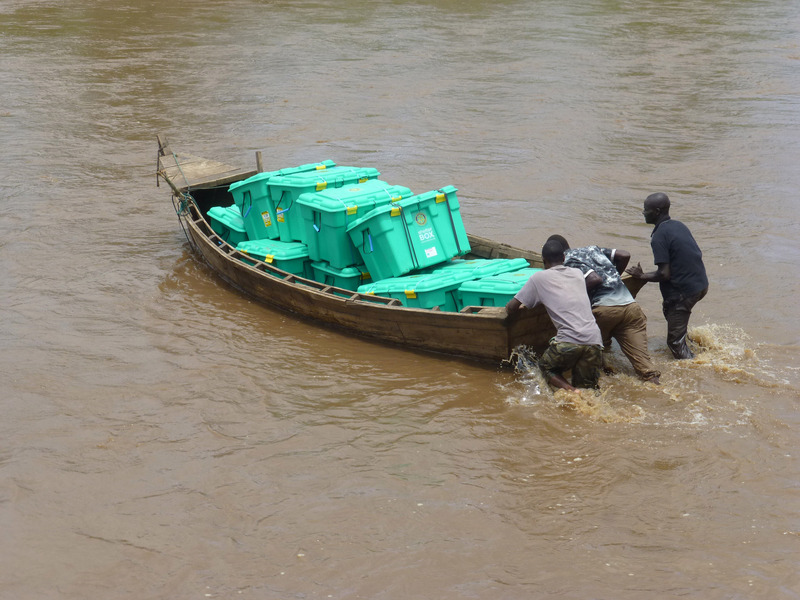 ShelterBox responded to flooding in Malawi in 2015.